We have a new Engine available starting today. The Little Joe also known as the GE EF-4 and EP-4 (2-D+D-2) is now available in the game. This is an electric Engine and requires that you have researched Improved Electrics and a Contract with GE. 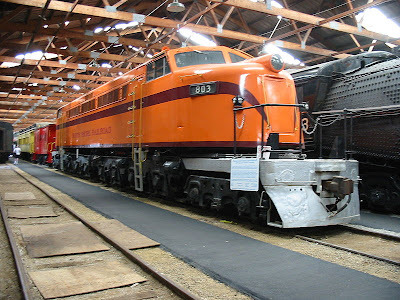 The real Little Joe is on display at the Illinois Railway Museum. The engine was built in 1949 by General Electric. The engine pictured in the game is the one on display at the museum and was used by the Chicago South Shore & South Bend. We will be adding new engines periodically, so stay tuned to see if one you've requested will be added to the game.